Ferrovia is the public waterbus stop for Santa Lucia Railroad Station. 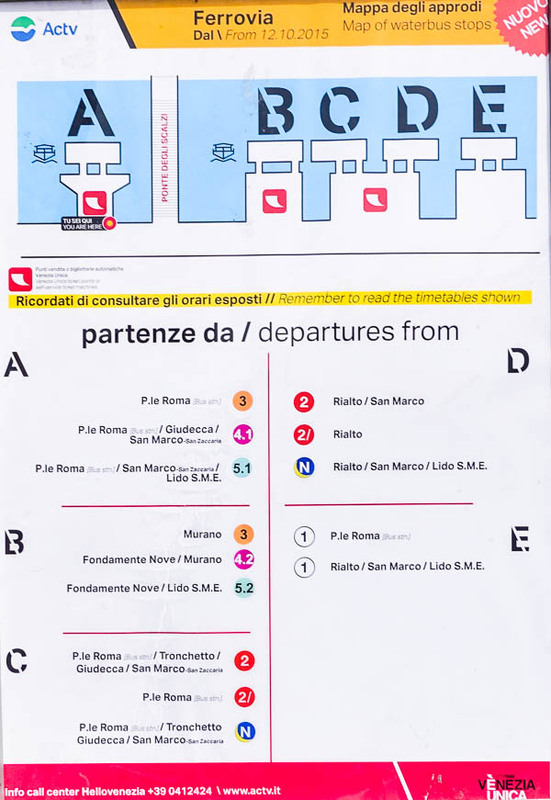 It has five platforms or pontili: four near the train station on the Grand Canal, and the other just beyond the Scalzi Bridge (the large white stone bridge crossing the Grand Canal in the satellite map above). Ferrovia has several ACTV booths and vending machines where you can buy tickets or Tourist Travel Cards. You'll find plenty of reliable hotels near the station, and many are accessible without crossing any footbridges. 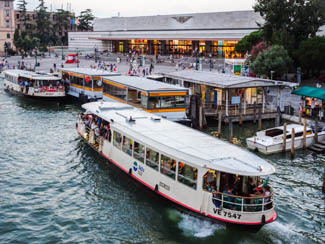 For information and advice, see our illustrated Venice Railroad Station Hotels article.